Pack Of Wolves will be a great, Disney Channel XD show. The show has cast its main cast but is always looking for extras and casting featured extras, supporting roles and background actors. Pack of Wolves is a new show that will be released very soon. Pack of Wolves is a Disney comedy that is about the Oppenheimer siblings (Edison, Darwin, and Albert). The kids are being raised by their dad, a genius who happens to rent a room in the house to someone called “The Wolf”. The Wolf is a spy who is trying to keep out of sight and the kids learn all sorts of spy maneuvers from him. Disney’s “A Pack of Wolves” is all set to be the next big Disney Channel hit. This unique family runs into all sorts of funny situations that include the The Wolf, the siblings and the unique mad scientist of a dad. To get on the show, you will need to send all of your information to the show’s casting director, Julie Ashton. You can get the mailing information below. Please do not call. If you want to be an extra for Disney’s A Pack of Wolves or tryout for a role on this new show, you can contact central casting as they are the extras casting company for this production. You can apply to Central Casting by contacting them at (818) 562-2755. Central casting is located in the Los Angeles area in the city of Burbank. Pack of Wolves is produced by ‘It’s a Laugh’ Productions which produces most of the Disney Channel and Disney XD shows including Jessie, Hannah Montana, Wizards of Waverly Place, The Suite Life, Sonny with a Chance and dozens more shows. This is going to be another great hit for the Disney Channel and we can’t wait for the premier. My name is Leslie, I am 16 years and I would like to be an extra. Information about me… I have black hair and I am 11 years old. I like to be funny and I would love to be a Disney actress. I know a rule, if they ask you for money then it is a scam. I really want to get onto Disney Channel or Disney XD. I am 12 and am a very talented actress. I would love to be in a show like A Pack of Wolves or anything else that Disney has to offer or any show that they are casting actors for. I am trying to get an agent but I do not have one right now so I hope that I can be on a show without having an agent even though I know that it will be hard to get an audition and do so well at it that they hire me. I have faith and this is my dream so I will keep trying until I reach the big time which I hope will be soon. I also like theater and am in my school play so I do have some experience acting on stage. Anyway I am a huge fan regardless of if I get a job and will be a huge fan of Disney for life. I like the idea. I have experience with acting from school and even little or no parts are great because I get to be in the acting world and experience more acting techniques. I would love to be a Disney channel star. I have what you need. I would like a role, but I also could be an extra! I just want to be a part of Disney channel or Disney XD! My name is Shantelle, I’m turning 14 on march 24. The reason I want to act and sing is for my brother. He got in a car wreck October 21st and is in a coma. He has been in one for 5 months and I want to raise money for him, thanks or your time. Hello my name is Alexia, I am 12 years old and have a dirty blonde natural hair colour. I love shopping, adore singing and am great at it. I can sing Whitney Housten, Adele etc.. and have been singing for 7 years. I was trained for Broadway and all other types of music. I am friends with Aleksa Martino from Zoink’d and always love to be myself. I would really like an opportunity at acting in a family disney tv show. I wont let anyone down, thank you for your time, Alexia. What’s up, my name is Jacob Couch. I am 12 years old, I have brown hair, green/brown eyes, and I’m white. My favorite sport is wrestling. My friends at school say I’m very good looking and that I have that TV face. I may be short, but I’m very fit. I have been acting for 5 years but I’m not in a acting company yet. My friends at school also say I’m a very good actor because I have played in many plays. So please accept me, Thank you. my name is Julia I am 14 years old and would like to go to Disney. I have a lot of talent, I can not draw, sing or dance and I also have a sense of humor. I’m good to go on a comedy series. I am faith and I am 11. I would love to be a main character on the show or any show, please let me be in the show. My name is Yara, acting has been a goal of mine for a long time now. I am 10 years old and female. My name is Kenia and my dream is to be an actor. I have no agent or nothing right now. I am just a regular girl like I said my dream is acting but no one supports or believes me. Just my mom and dad and this a time. I can prove to everyone I can accomplish my dream. I know its hard to get an audition without an agent. I am 10. Hi, I’m Montana Jo Bell. Im twelve turning thirteen December 22. I love to act and dance. I’m also in cheer at school. My main goal in life is to be on a hit tv show. I love the camera and the camera loves me. I can be myself while modeling but I like to try different people or characters. I can definitely model. I would love to join any tv show, movie or really anything. I am very funny. I get along great with others. I hope I can get any role possible. Performance skills- Acting and dancing. Hi my name is Antoinette Reynolds and I’m a mom of 3. My oldest 10 is 5’3 and has made it through 2 auditions for Disney but didn’t make the final cut. She is now ready to try again. This time it seems her twin brothers who are 5 years old have caught the acting bug and they are always putting on their own plays or re-act all of the Disney shows they watch. I know they would be more than estastic to have an opportunity like this. Location:Santa Ana 92703 Ca if you need any more info please ask away. My name is brunelle, I’m 10 years old and im going to turn 11 in may. I have a passion of acting and also like dancing which im good at and hope it can be shown more on T.V. I hope you give me chance to fulfill my dream of being a dancer and actor on a disney channel. thank you and hope you give me a chance. Hi! My name is Luciana tneho. My son Derick and I wanted to invest into acting for him. He is seven years and very smart super funny and speaks 3 languages fluent. I live in Boston if I could have help to turn my son into a great actor I’m happy. I have a 2 year old toddler who would be a great actor or extra…let me know the details asap! Hi my name is roma some people call me alia. I am 11 yrs old about to turn 12 on october 8 and i am also 5 feet tall. Acting is my passion and i have been dreaming it my whole life. I am also good at singing but need a little bit practice. I dont have an agent but i hope i can still audition or get on a disney show without an agent. i wasnt born in the states but i hope that isnt a problem. i am a filipino female and i live in North Hills,California. Hello please take a look at my cv. Hi my name is Rahiman some of you can’t say it right anyway I am 10 years old i live in Australia,Perth,WA i am good at dancing,singing ,playing a guitar and playing Drums. PS:i hope i get the job..And hurry i wont be hear on July but i’ll be back and i won’t be here on December forever. I really will LOVE to try this experience i am really great in acting and will LOVE THIS IT WILL B LIK A DREAM COME TRUE!!!! i am 16 years old, african american female, dark brown hair, dark brown eyes, and who ever read my message i hope you give me a shot at it.PLLLLLLLEEEEEEZZZZZZZZ!!!!!!! I always wanted to be in any Disney movie or show. im an actress waiting for an opportunity to be in one. i live in Houston, Tx. I’m a 15 year old Asian female with brown eyes and black hair. I hope you guys read this message and let me audition. it would be a dream come true thanks for reading. contact about any info or learn more about me. I would love to be on this show. It is my dream to act for Disney, so please consider me. Please consider me to act in this show, you would make my dreams come true! Hi,My name is Raven Miller i just turned 12 and this show sounds REALLY great and i want to get a role in this show. 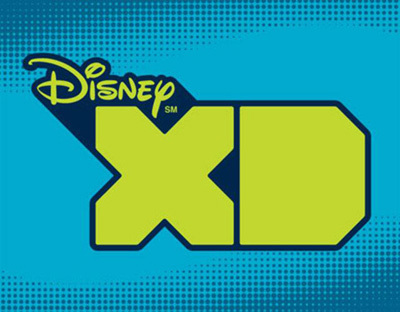 i really want to be on disney xd- it’s my dream. i have had loads of experience- i have peformed in pantomines infront of hundreds of people- i can also sing and dance and i watch disneyxd and disney channel all the time i am a huge fan. hi my name is alexandra i am 12 years old but i look 14 I am trying to get an agent but I do not have one right now so I hope that I can be on a show without having an agent so. anyways i sing,dance, and act so if you would emailz me that would be so great! hei, eg er norsk. eg har vert med i skoleoppsetninger eg kan nesten grine på komando har ikkje agent men skule gjerne hatt.eg synger og svømmer.eg er 11 år. eg vil vellldig gjærne bli skuespiller. ps. kan snakke engelsk. visst du er produsent og vill gi meg ein sjanse så send meg ein mail. First of all, thank-you for looking at my comment and if you are an agent or a producer or works for tv please please consider the following: I am a young(over the age of 12) and i love acting have been in plays and have been a lead in all of them i love acting and its a passion that i have alwas had i would be blessed if you would give me a chance if you are a producer and want to give me a hcnace go ahead and please email me!! I`m Jake, I’m 14 years old. I have been lead role in School Concerts and have been told that I am a good public speaker… I would like to be a extra and would like to experience how it is to be on proper stage. I’m kind of new at this but I would like to be in A show at least. I really don’t care which one. I’m a straight A student and I will remain to stay that way. I’m not really hard to work with and I smile a lot. I can sing really well. That’s what everyone says when they hear me. 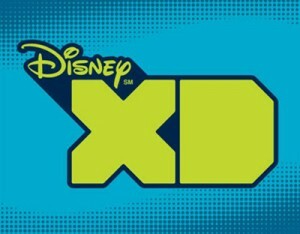 I really want to get onto Disney Channel or Disney XD. I am 17 and am a very talented actress. I would love to be in a show like A Pack of Wolves or anything else that Disney has to offer or any show that they are casting actors for.